Earlier this week, Philippe Zinck of Alsace's Domaine Zinck was in Ontario for a market visit with Ottawa and Toronto restauranteurs. 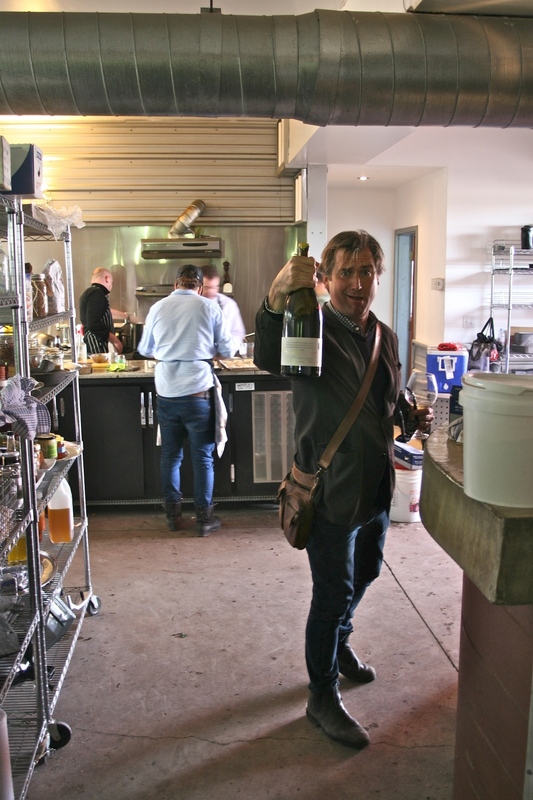 To kick things off in style we hosted a Monday Masterclass Luncheon at Supply and Demand with a group of Ottawa restauranteurs who dig French wine. Philippe himself is younger than most principals of French wineries, stylish, unassuming and a bit understated, but a complete fountain of knowledge on Alsatian wine...and the wine he produces is outstanding in its own right, but an unbeatable value when you factor in the prices. It's no secret that Alsace is one of my favourite (if not my very favourite) regions, so any chance I get to learn from one of their best winemakers is exciting. 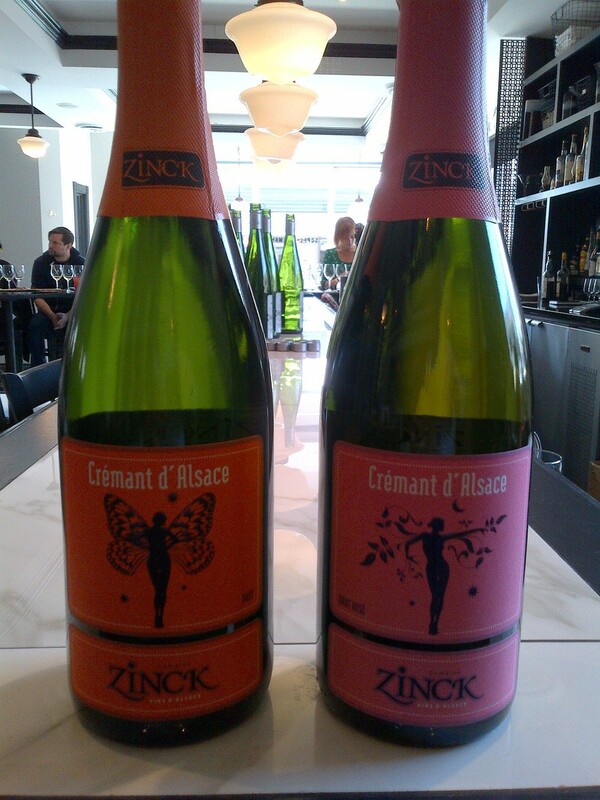 Domaine Zinck 'Portrait' line, at Supply and Demand. 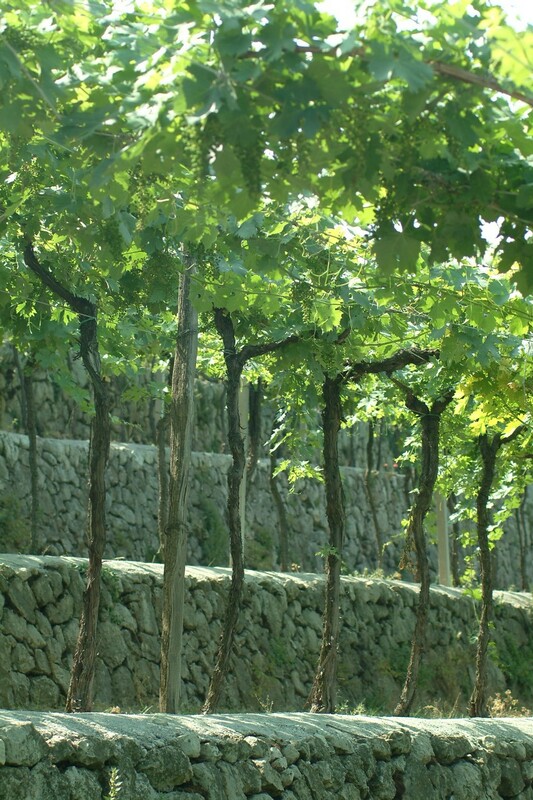 The 'Portrait' line of Domaine Zinck wines are already a favourite in Ontario and many markets in Canada, but this was a great opportunity to re-introduce them, taste them side-by-side and learn about them from the winemaker. We showed the Crement D'Alsace Brut, Crement D'Alsace Rose, Pinot Blanc, Riesling, Pinot Gris and Gewurztraminer, all of which have textbook varietal typicity and are incredibly versatile with food...as was showcased by their pairing with Supply and Demand's Chef Steve Wall's amazing menu! A 4-course sharing-feast mix of raw shellfish and pickled food to start, followed by a nod to Alsace with his Tart Flambee and finished off with a massive platter of pork stuffed with pork and sausage. One might think that such rich hefty meat would overpower the Alsatian wines, but the plump texture and crisp acidity balanced wonderfully. 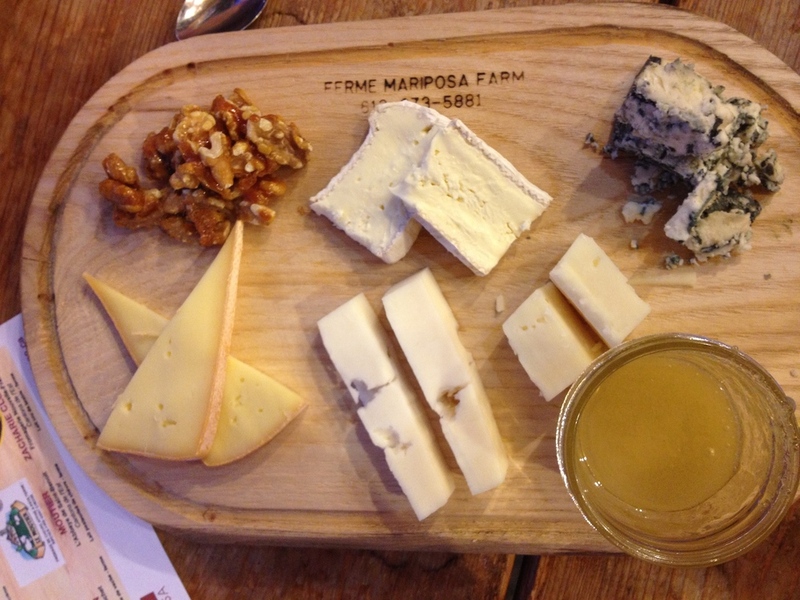 We finished off the lunch with a Grand Cru tasting paired with a stinky cheese platter. Philippe's Grand Cru wines are another example of the outstanding value that is hard to ignore. 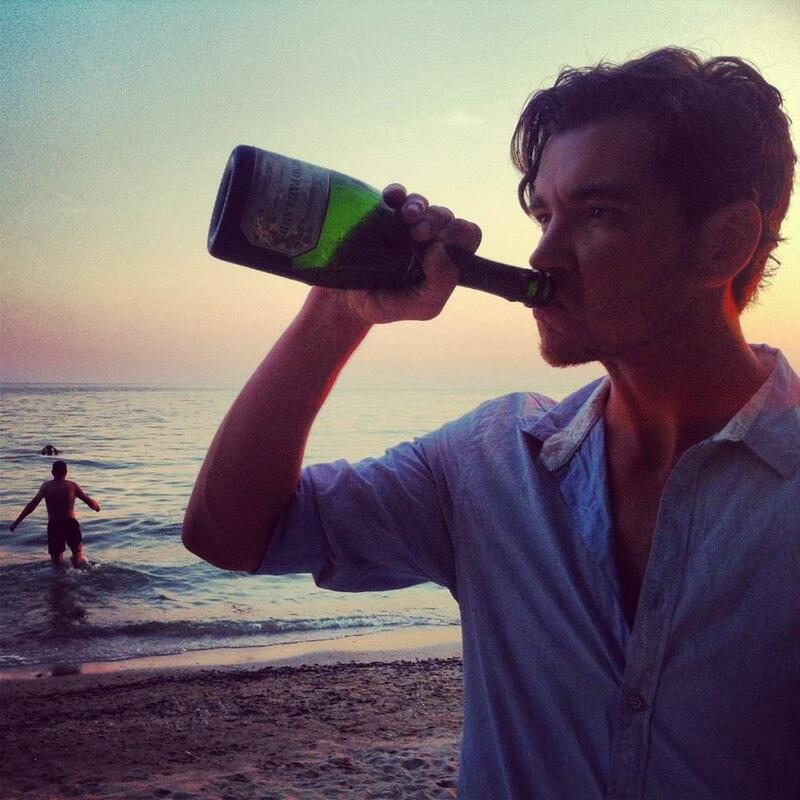 For wines in the $30 range, they drink like $70+. 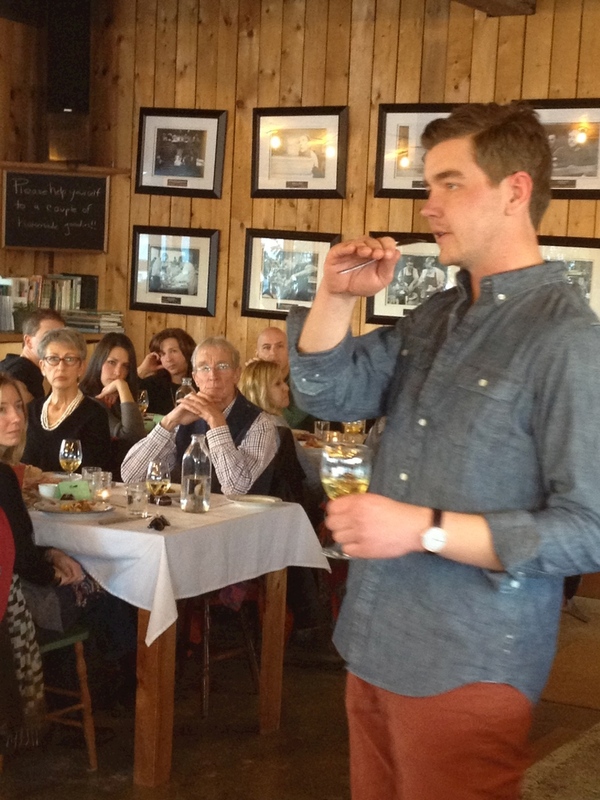 At a tasting later that day, Ottawa restauranteur/sommelier Stephen Beckta likened Philippe's Grand Cru 'Pfesigberg' Riesling to Trimbach's epic 'Clos St. Hune', but at a fraction of the price. High praise in the Riesling world, but well deserved. And it seems good times in Ottawa built to great times in Toronto with a wine dinner at Enoteca Ascari where many bottles Crement D'Alsace were sabered by Philippe, Vive La France!! Philippe Zinck getting into some lunch at Supply and Demand. 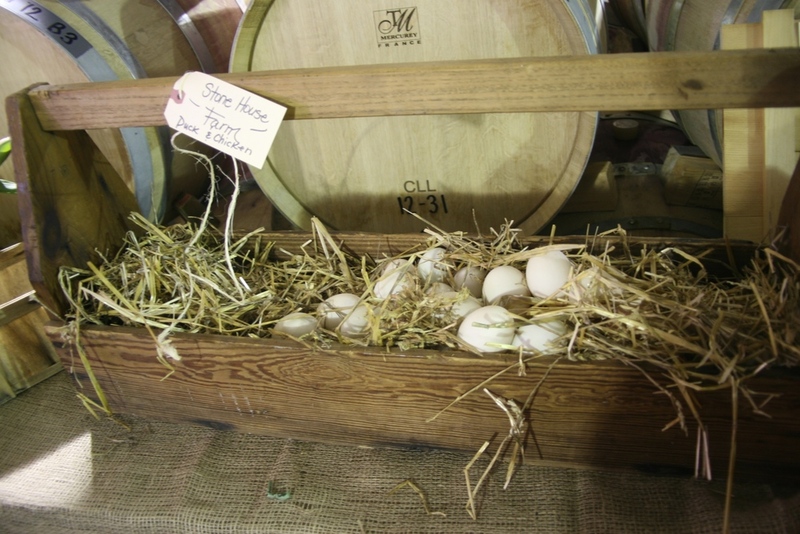 Supply and Demand, course #1: raw shellfish and pickled foods. Philippe Zinck presenting his Grand Cru wines. Supply and Demand, course #3: pork foot stuffed with more pork and all kinds of wonderful spicy sausage. Steve Wall and his team at Supply and Demand plating (or wooding?) the pork on long wood planks for sharing plates. Steve Wall presenting his menu to the guests at Supply and Demand. 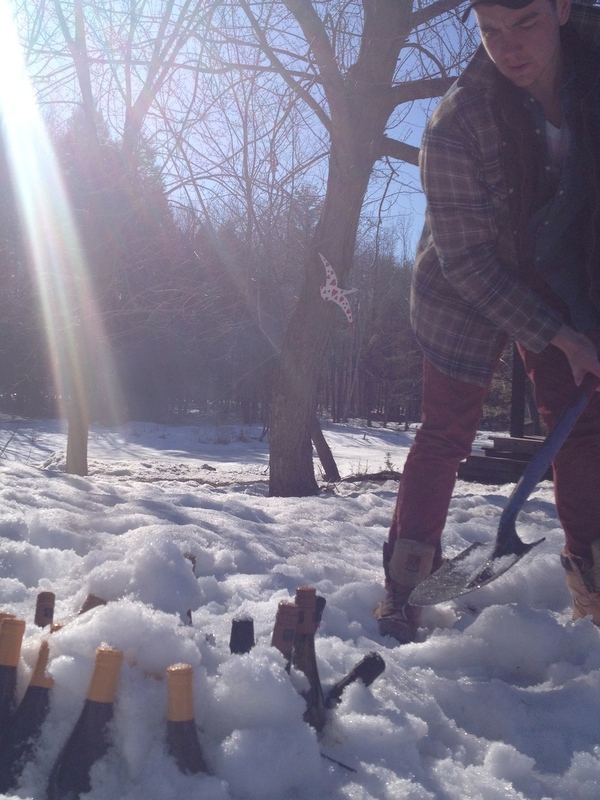 This past Saturday night I realized a career-long dream of hosting a wine dinner in my work boots. 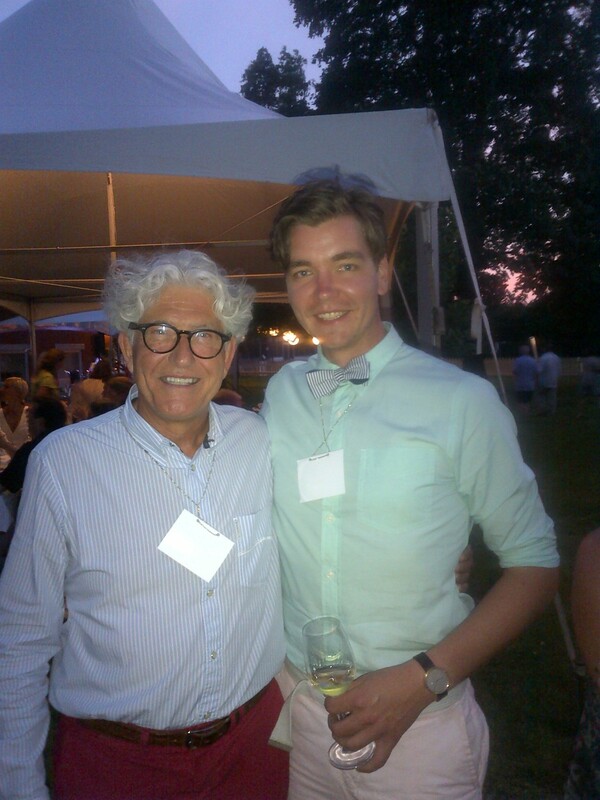 Having grown up on a farm in Southwestern Ontario, I don't get many opportunities for country wine dinners. 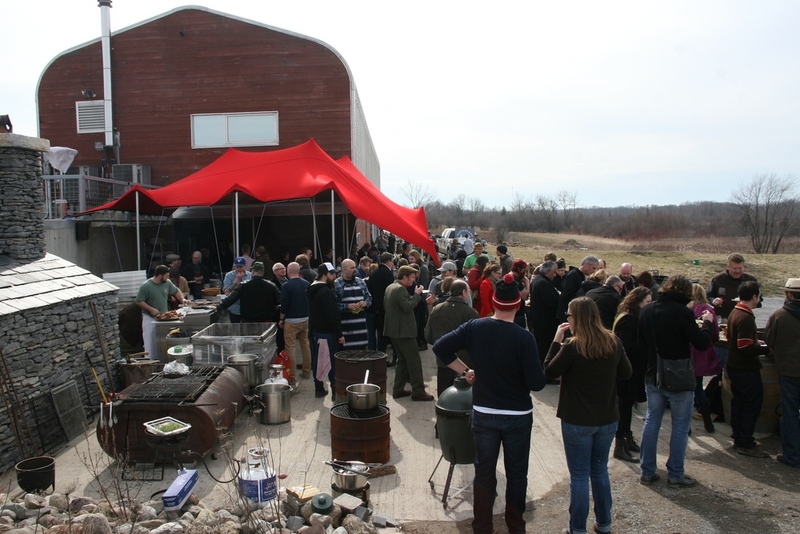 So when organizer Katie Worobeck started planning a Maple Syrup Celebration dinner for Mariposa Farm in Plantagenet, about 45 mins east of Ottawa, I was immediately on board. Katie's plan was to round up 3 of Ottawa's best young chefs and have them join Mariposa Farm's Chef Matt Shepard to each prepare a Maple Syrup inspired dish for a big dinner. 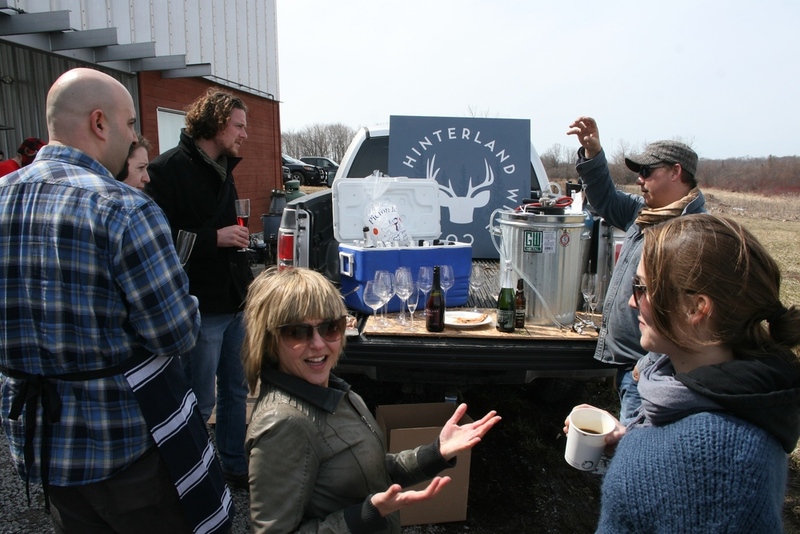 The rest of the lineup included former Mariposa Chef Mark Currier now of Hintonburg Public House; Jon Svasas formerly of Domus and Taylor's Genuine who is soon to open Fauna; and also Gold Medal Plates champion Jamie Stunt of OZ Cafe. The wine pairings included selections from Ontario's finest: Tawse Winery, Norman Hardie, Thomas Bachelder, and Hinterland Wine Co. All the wines paired perfectly with the dishes, each in a different way contributing to the rustic maple theme of the dinner. 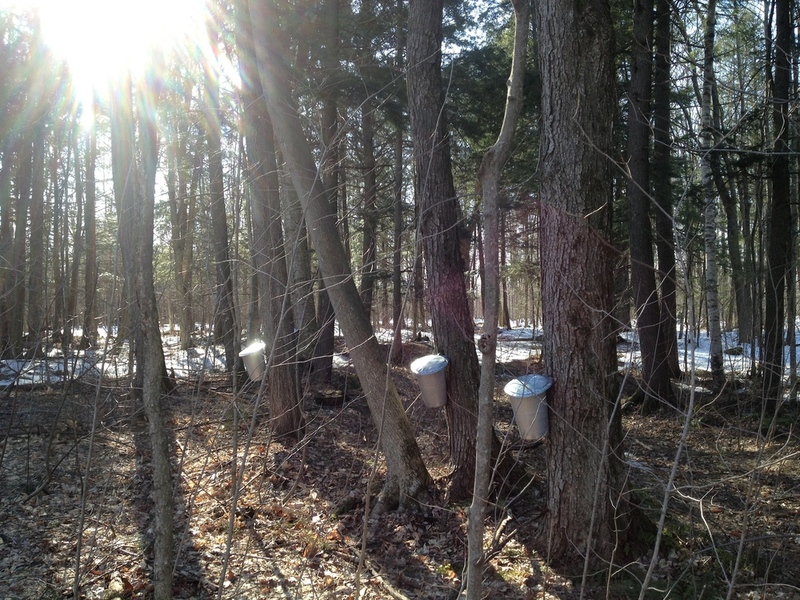 Farm owner Ian Walker explaining the process of Maple syrup production beside his cauldron of boiling sap. Fresh syrup is this exciting. 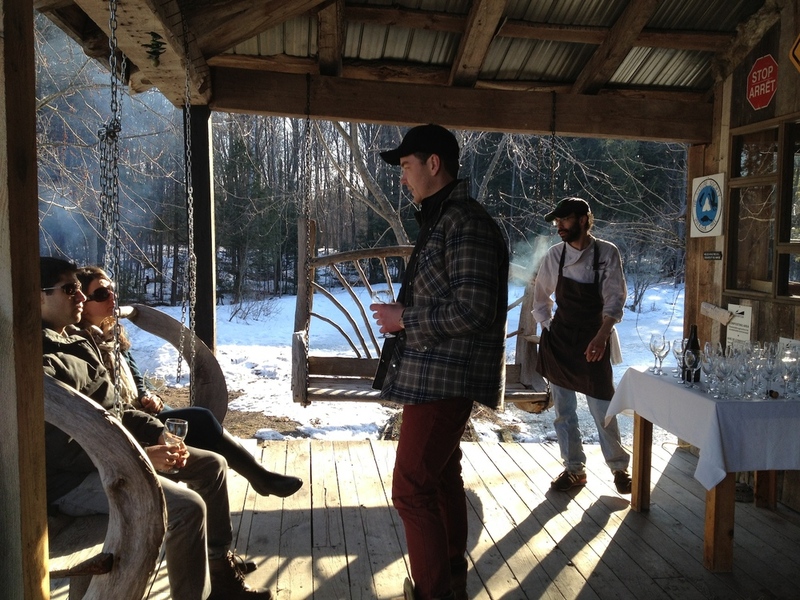 La Ferme ÄLska owner Genevieve @alskafarm and Andrew Gilbotawicz testing out her fresh maple taffy. 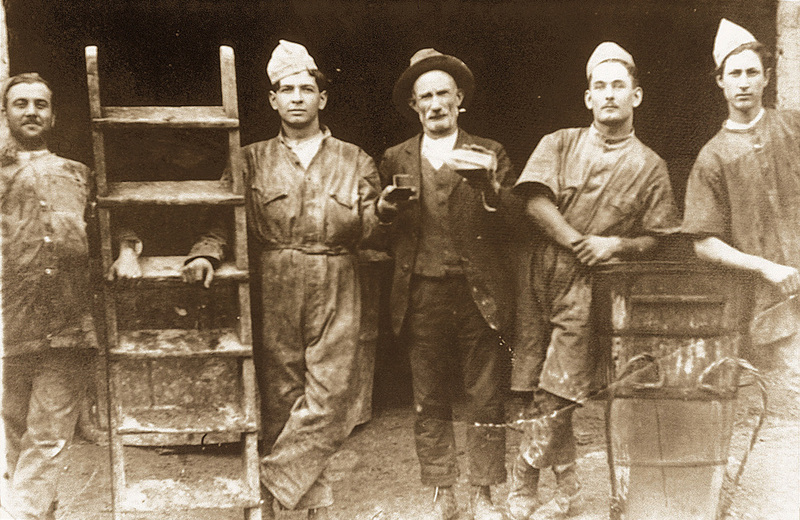 Turns out Bouviers love maple taffy too! 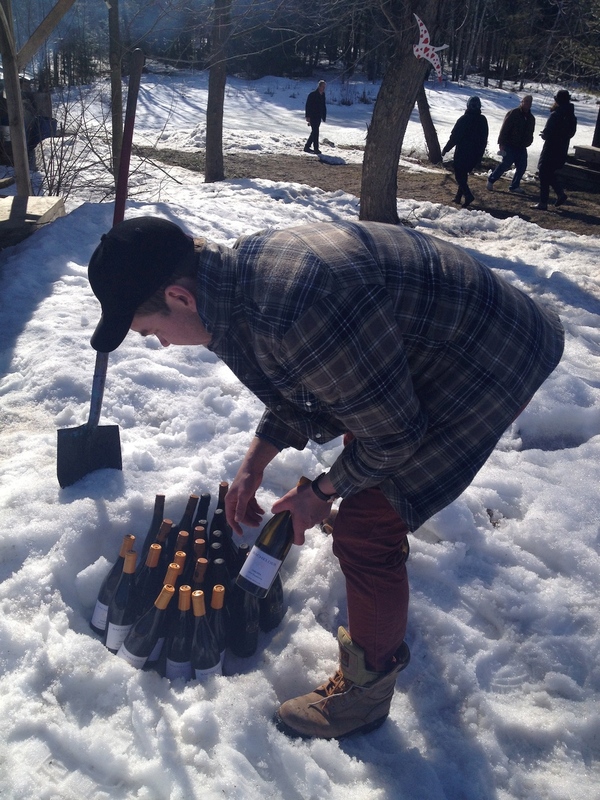 Just your average down-home style wine fridge...a hole in the snow. 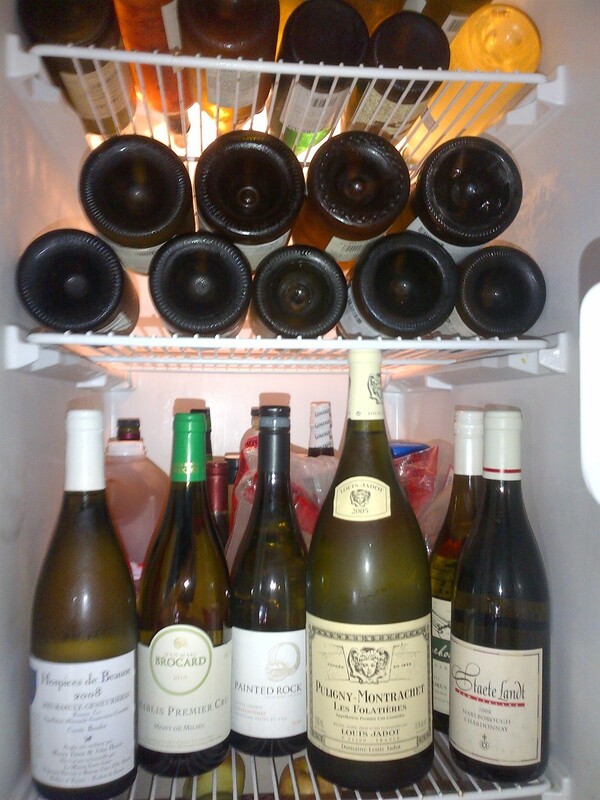 Topping up the wine fridge with extra snow. Outside looking in. Guests getting seated for the big dinner. 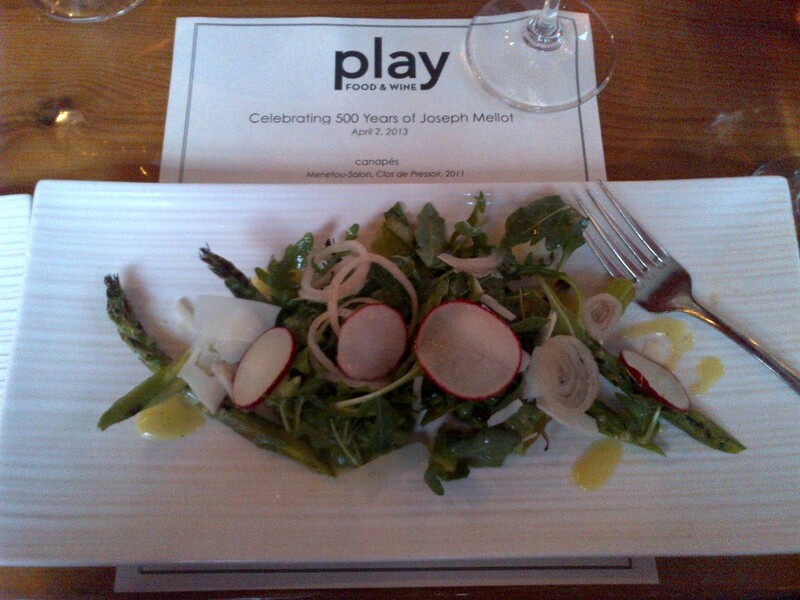 Prep for course #1 from Matt Shepard, Mariposa's resident chef. The country dining room and chef wall of fame at Mariposa Farm. Chatting wine in between courses. 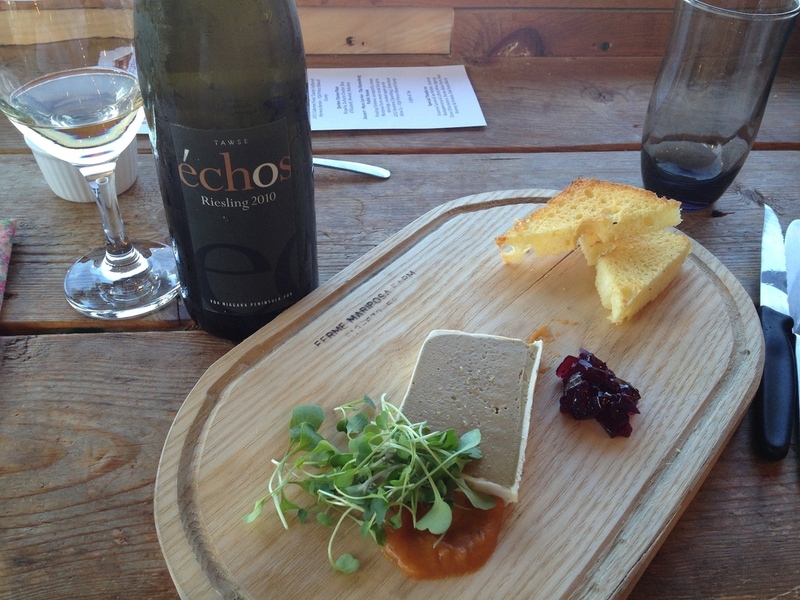 Course #1: Matt Shepard's Mariposa Maple butter wrapped foie gras parfait, brioche, local grape jelly with Tawse 'Echos' Riesling from Niagara. Course #2: Jamie Stunt's duck fat bannock with Alska Farm Maple Syrup cured trout, smoked crème fraiche, beets, chives, candied lemon with Thomas Bachelder's Niagara Chardonnay. Course #3: Jon Svazas' Maple soy cardamom glazed Mariposa duck breast, root vegetable pave, brussel sprouts with Norman Hardie's Unfiltered Cabernet Franc from Prince Edward County. Matt Shepard and Jon Svazas looking over the cheese course before it goes out. Quebec cheese course: Riopelle, Zacharie Cloutier, Bleu d’Elisabeth, Moutier, Baluchon. Desert course: Mark Currier's Pudding Chomeur, sarsaparilla cream, Mariposa Farm sweet cured foie gras shavings, smoked apple puree with Hinterland's Ancestral. 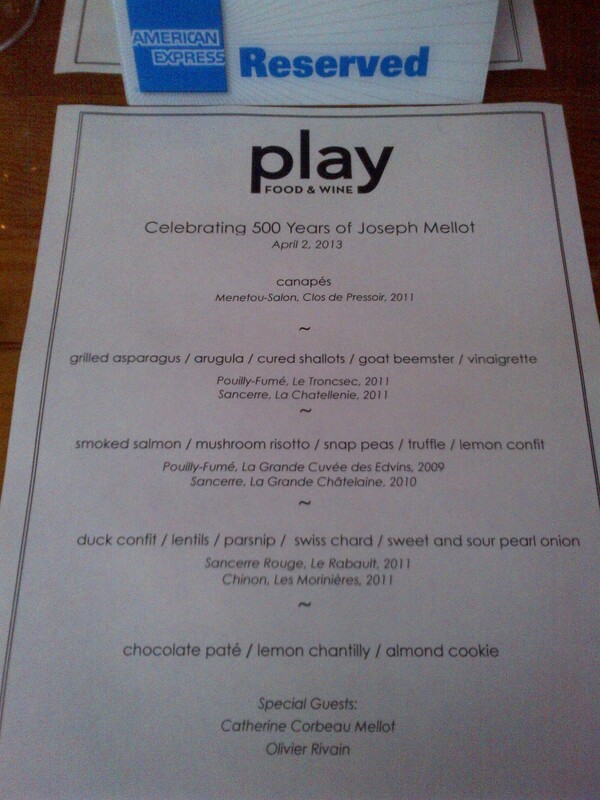 As I mentioned in an earlier post, last Tuesday night we planned a 500th Anniversary celebration dinner for Domaine Joseph Mellot at Play Food & Wine here in Ottawa. This dinner was certainly worthy of a half-millennium birthday party! Stephen Beckta and his team did an outstanding job. The menu and wine pairings from Chef de Cuisine Tim Stock were classic flavours, but inventively presented and perfectly matched by Wine Director Kerri Smith. 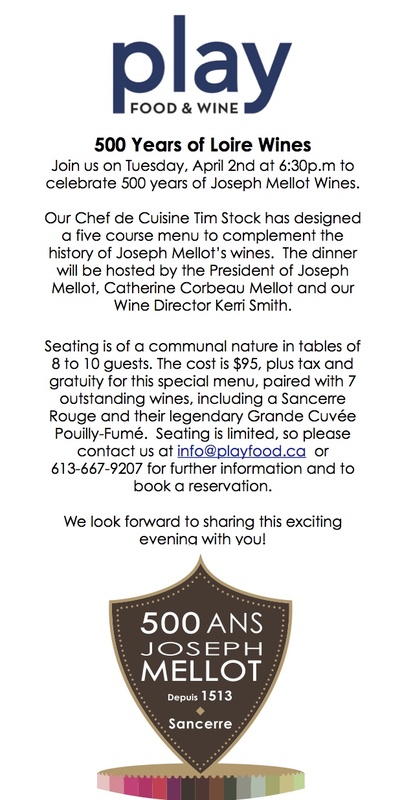 There were even a couple gentlemen who loved the dinner so much, they made reservations for our 2nd Mellot celebration dinner the next night in Toronto at Loire Restaurant!